Andy Paley and Brian Wilson wrote a song in tribute to K.R.O.Q. D.J. Rodney Bingenheimer. Andy produced the recording. “Rodney On The ROQ,” which for years has been the theme song for Rodney Bingenheimer’s Los Angeles radio show on KROQ. The song is performed by Brian Wilson with Jeff Foskett and Andy on background vocals. 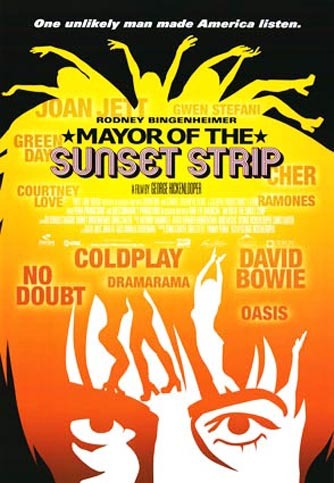 Not only is the song Rodney’s theme song, it’s also featured in the film “Mayor of the Sunset Strip,” a documentary about Rodney by George Hickenlooper. The song is the lead-off track on the soundtrack, which includes songs by The Byrds, David Bowie, X, T. Rex. The Ramones and Alice Cooper.